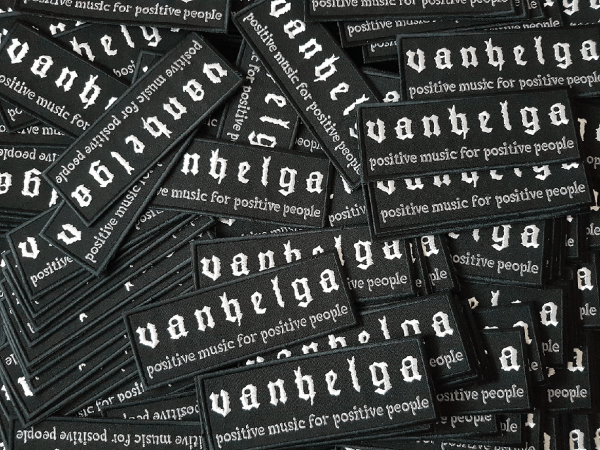 TR049PT Vanhelga - Positive Music For Positive People, patch with logo and slogan available! New and high quality logo patch with the slogan "Positive Music For Positive People" of the swedish depressive black metal band Vanhelga. Embroidered on black textile with black border. The logo is embroidered with white and the slogan with grey thread.